As an owner managed local business ourselves, we are always thrilled to interview and discover the success stories of South African entrepreneurs in the interior design field. 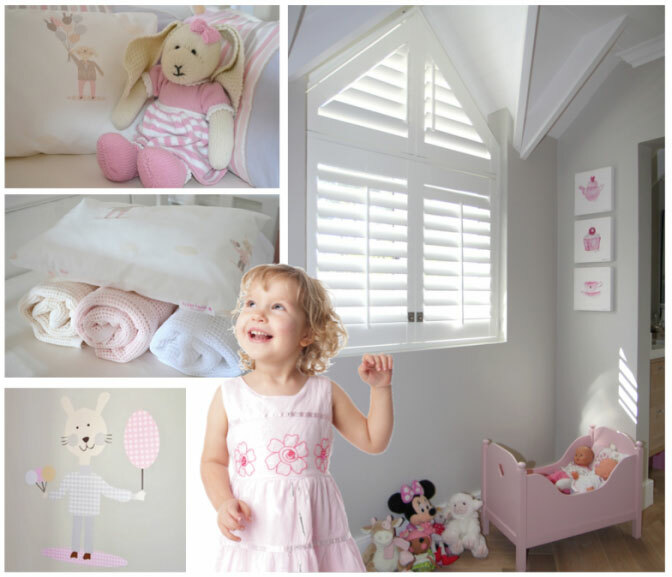 We were delighted with the opportunity to chat to inspirational business owner, interior designer and AMERICAN shutters’ client, Pascalé Dorp, owner of Baby Belle. Tell us how and why you started Baby Belle? I started Baby Belle in 2004 in Port Elizabeth. I was pregnant with my daughter and realised the quality and aesthetical appeal of products I had become accustomed to in Europe were not readily available here. I started my business with linen only and via word of mouth. We only manufactured beautiful linen items for baby and children. In 2010 we launched Baby Belle on a countrywide level, offering all parents across our country equal opportunity to order our furniture and décor products. What are the most important issues to consider when decorating children’s rooms? Children are little people who love to play, tend to make a mess and need a space that is specifically designed to cater for their needs and that gives them room to grow and allows them to utilise their space to do the things that children do best. My advice is to never clutter the child’s room with unnecessary furniture but rather make lots of room for them to play. It is even better to set up a specific play area in their bedroom. Another vitally important aspect is to make a dedicated space for their toys and books etc. this can be achieved by beautiful storage units, toy boxes and shelving. When choosing colours especially for a baby it is wise not to over stimulate them so soft pastels, creams, stone and grey are always a favourite. What design rules, if any, do you follow? I follow a strict principle to design according to what our clients like and not what I like. I guide at each step with my expertise, but always make sure our clients end with a product or products that are better than they envisioned them to be. We keep up with all international trends however we do have a certain level of timeless elegance that comes through in all our designs. We base our designs and products on longevity and prefer offering clients a bedroom or nursery that will most likely not need changing in two or three years time. I gather my inspiration from international travel, the Internet and constant reading of magazines. I am very passionate about French interior design and you will see this brought through in a lot of our standard ranges. What do you believe the next big trend in children’s rooms will be? The trend has moved drastically towards French inspired bedrooms and softer neutral colour palettes. I foresee this trend growing stronger and stronger. 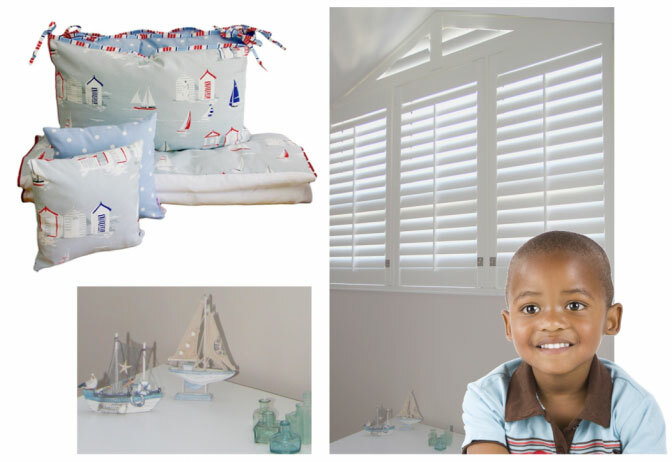 Which AMERICAN shutters’ products do you think are best suited for children’s spaces and why? I absolutely adore the shutters from American Shutters and find they suit any space. Their shutters create a feeling of elegance and offer great functionality. When paired with our designs, they are always a fantastic match!